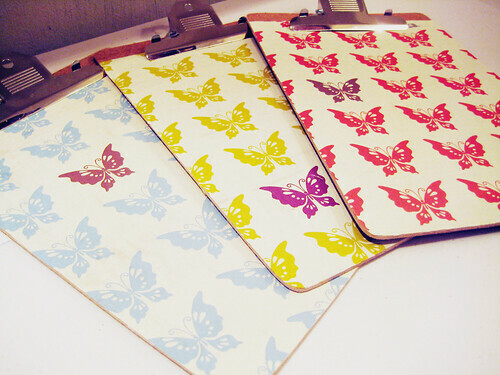 Inspired by this photo, I bought myself some clipboards and dressed them up with some Momo butterfly fabric I already owned. I'll show you what these look like hanging when I reveal the entire studio (I'm sure you are sick of me talking about it already! ).